Pollution continues for the presidential, parliamentary and municipal elections in Indonesia, the world’s largest Islamic country. 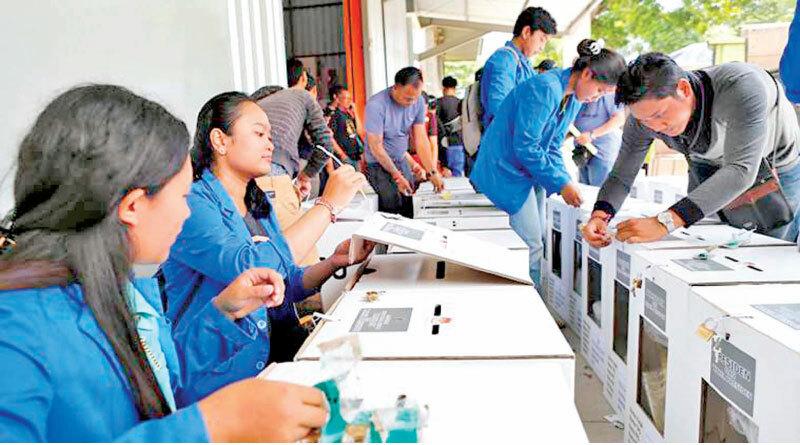 Indonesia’s more than 19 million registered voters are voting for the new president of the country while the polling process started at 7:00 am local time, however, the polling started in the capital Jakarta with 2 hours delay. The competition between President Joko Widodo and the former General Prabowo Subianto is expected to compete. 8 million polling stations have been set up for presidential, parliamentary and provincial elections and in total 245000 candidates are in the field. There are 575 parliamentarians in Indonesian elections and 19 thousand 817 seats in local governments and 4,000 43 thousand police and 420000 soldiers are deployed to make the election peaceful. Remember that Indonesia’s total population comprises 26 million people and has 33 provinces.